This is the best movie ever. It is completely unapologetic about what it is… and what it is, is simply a movie where robots (Jaegers) fight monsters (Kaiju). In whatever awesome way that the producers could think of at the time. Physics doesn’t come into it, and engineering has no place in this movie. Sure, there are some points where you’re thinking to yourself, “Hey, that would be a good way to make a huge robot work”… but those moments are far eclipsed by the sheer amount of artistic license taken by the screenwriters. 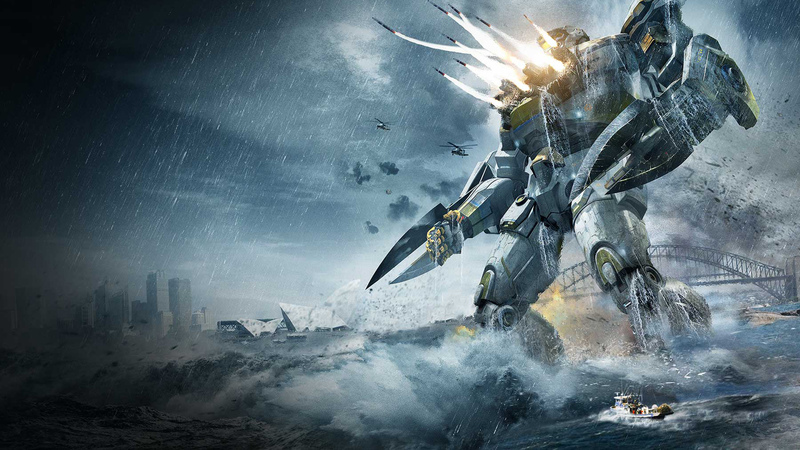 There’s a scene where the “main” Jaeger uses a cargo ship as a baseball bat, and beats the fear of ‘Murica into a Kaiju. Obviously this wouldn’t work – this ship would simply snap in half. They “tap into” the “rear brain” of the monster, referencing how dinosaurs would have secondary brain in their tail. Not so true, according to recent discoveries, such as the one that disproved the Brontosaurus. But you know what? I am 100% ok with every liberty that they took. BECAUSE IT WAS AWESOME. Scenes where they use rocket engines on the Jaegers elbow to make a punch hit faster. When they “vent the reactor out the front port” to act as a jet to slow a fall. Where a 50+ story robot falls from outer space and lands in a football stadium, yet does no damage to surrounding buildings nor to the human pilots. I just don’t care how unfeasible it it. It is fun, and it’s amazing, and everyone should watch it twice.